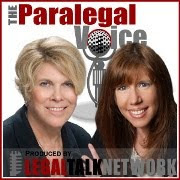 Dr. David Ball, a nationally recognized trial consultant, was the guest expert on a recent episode of The Paralegal Voice, the podcast we co-host on Legal Talk Network. Discussion during the podcast focused on the paralegal’s role in jury selection.It is Dr. Ball’s opinion that attorneys under-utilize their paralegals during the jury selection process. He explained why he believes well-trained paralegals are essential to the trial team and how they provide much needed perspective and insight while seating a jury. Coordinate focus groups prior to trial. Some firms pay vendors to coordinate focus groups. However, an organized paralegal can help the firm economize, especially in smaller cases, by recruiting focus group participants and organizing in-house focus group sessions. Obtain the list of potential jurors and any biographical data from the court, as soon as it becomes available. Use all available public data, such as civil, criminal, property and voter registration records to research jurors. Also, use the Internet and in particular, social networking sites to supplement information, including personal blogs, MySpace, Facebook, and LinkedIn. Review juror questionnaires. If juror questionnaires are provided, index and organize your firm’s copies, and help your supervising attorney summarize the data and locate them quickly during the trial. Take extremely detailed notes. Dr. Ball says that the paralegal should be taking all of the notes so that the attorney doesn’t have to, and can focus on his main role – getting jurors to talk. Maintain the jury seating chart and individual juror forms. Dr. Ball recommends using 2” x 3” yellow Post-It Notes which are not only easy to cover with a new Post-It as jurors are removed from a seat, but also to save for future reference, particularly in the event of a challenge. Pay close attention as the attorney questions each juror, not only to the juror’s answers, but how each juror reacts to another juror’s responses. Closely observe the jurors whenever you have the opportunity, in the hall outside of the courtroom, as they are coming and going in the courtroom and even at lunch if the opportunity arises. In particular, try to identify the leaders – and the followers. Observe the jurors during the trial – without being obvious or appearing to stare. Notice who looks interested, who looks at exhibits, who looks bored – and who might be asleep. Keep track of the number of juror challenges your attorney has used, including the type of challenge that was used. For an overview of jury challenges, including the Batson challenge that Dr. Ball discusses in the podcast, see this ABA Journal article. Observe the attorneys for the opposing parties. When they take notes, be sure to make your own notes about what is going on at that particular point in the trial. Know your jurisdiction’s laws regarding jury challenges, so that you will recognize potential causes to dismiss a juror and can take more detailed notes if potential cause arises while a juror is talking. The paralegal is the trial team’s extra pair of eyes and ears when it comes to observing the jury, and according to Dr. Ball, even observing opposing counsel’s actions. You may be your litigation team’s personal Sherlock Holmes, the one who doesn’t miss the minute details that can make a world of difference at trial.